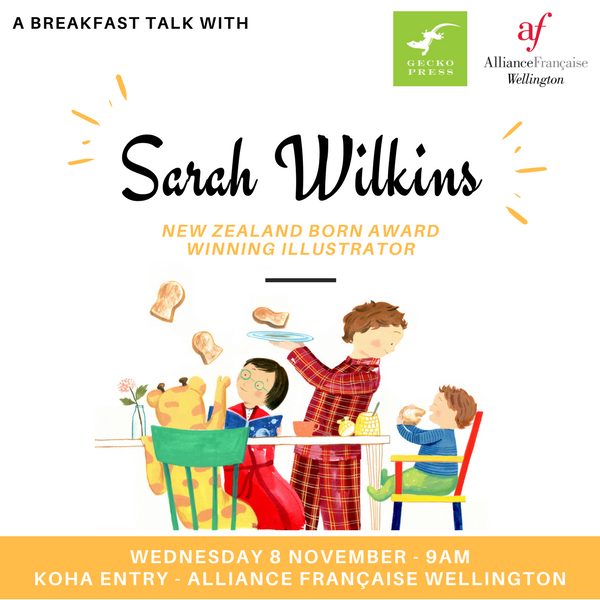 Based sometimes in Wellington and sometimes in Paris, illustrator Sarah Wilkins has an international career working for some of the world’s leading publications. Sarah recently published The Longest Breakfast – A rambunctious story about the best meal of the day. RSVP here to join us for a talk about her artistic life between France and New Zealand.